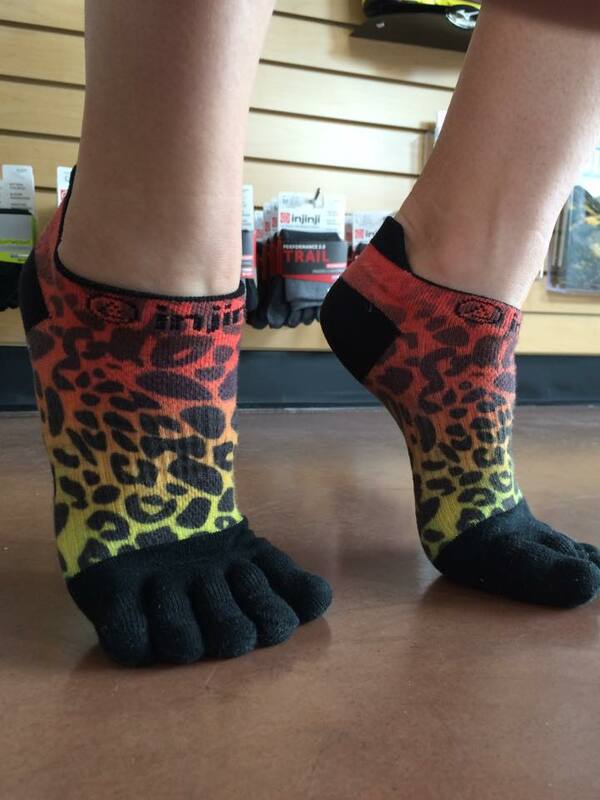 Injinji has become a cornerstone name in the trail running market. 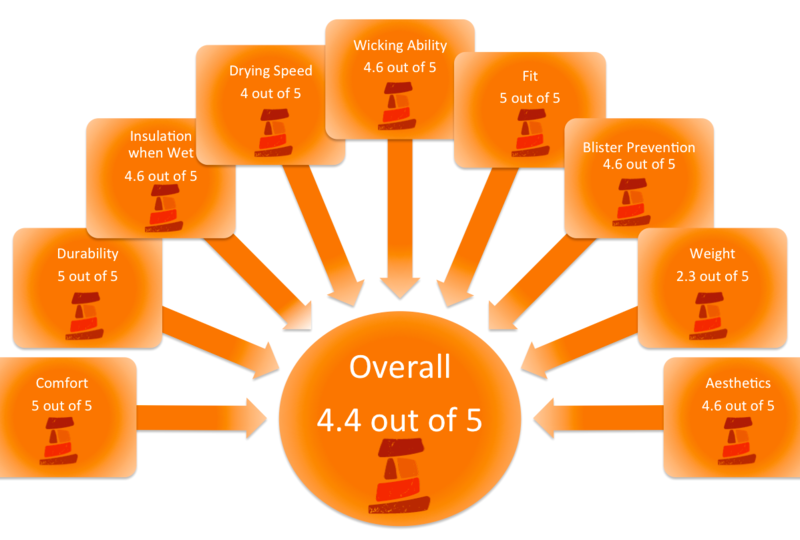 With no surprise, Injinji scored exceptionally well in this test. 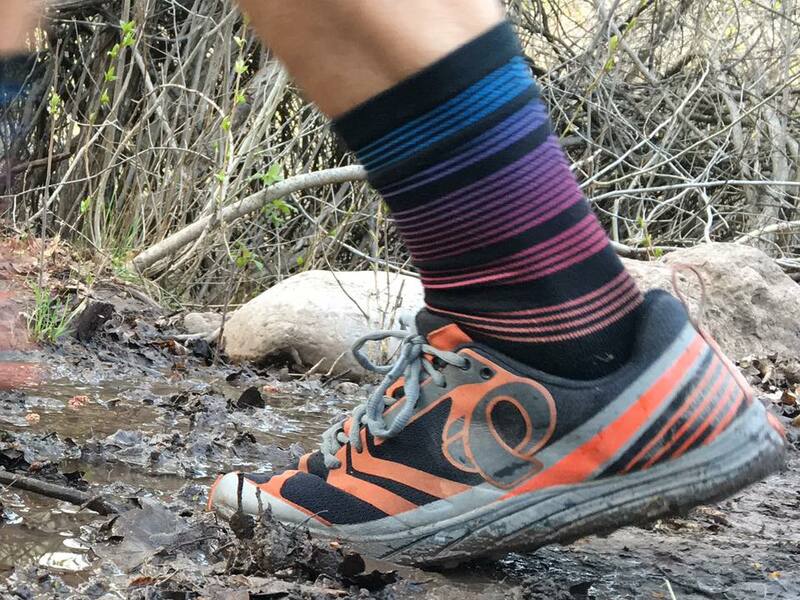 The Trail 2.0 Mid-weight scored an overall 4.4, the highest of all tested socks. 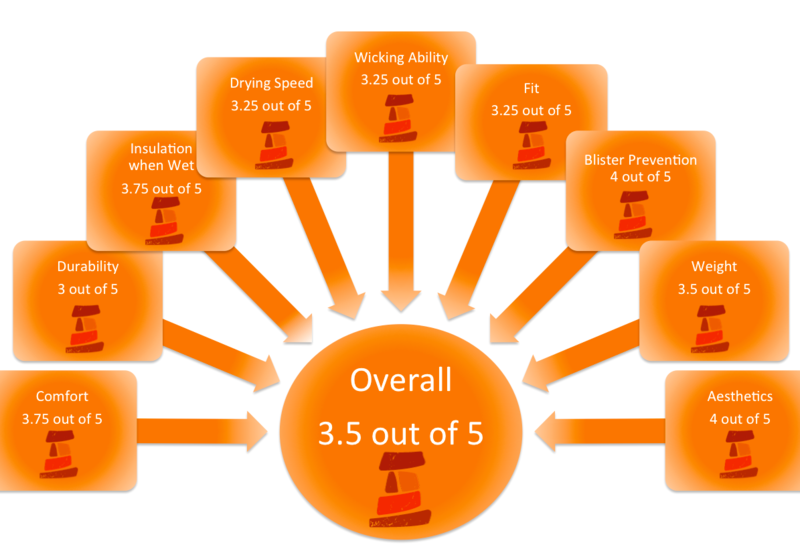 While the Run 2.0 Lightweight weight and Run 2.0 Mid-weight scored a 4.2 and 4.1 respectively. Not only have their socks performed well in the tests, they scored well in aesthetics, and The Spectrum colors are serious game changers. 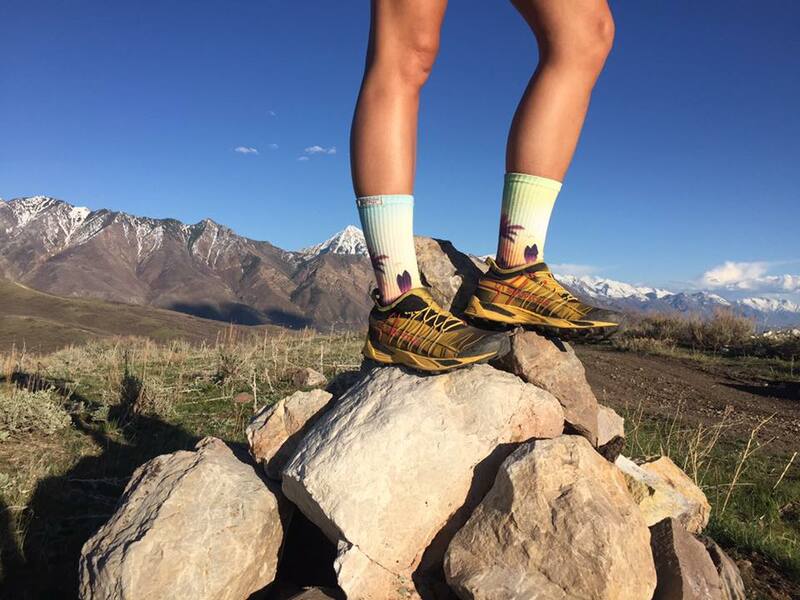 Our testers were very excited to try the Trail series socks. 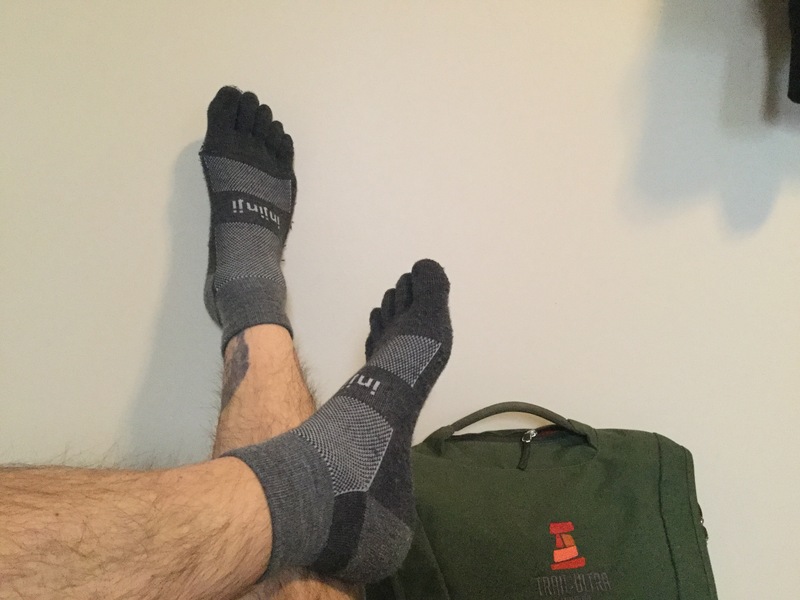 The Trail socks are a CoolMax Synthetic sock with slightly more cushion then a lighter sock. The testers were excited to see how these bad boys stood up to harsh conditions, including some serious bushwhacking, spring slush and ice and dessert dirt. 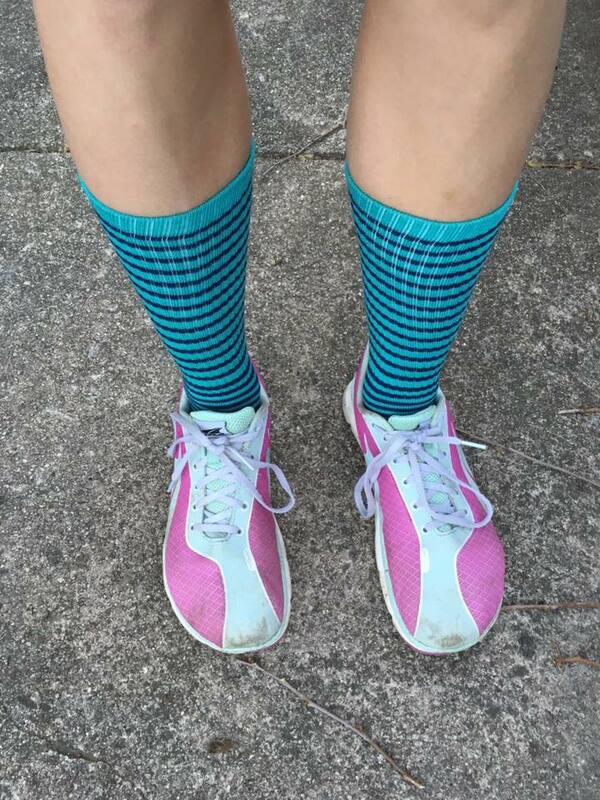 No matter the conditions, the socks came out winners. 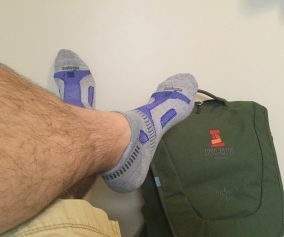 The socks are very comfortable and they really liked the extra length on a run where they had to slog through several inches of snow with a hard crust. 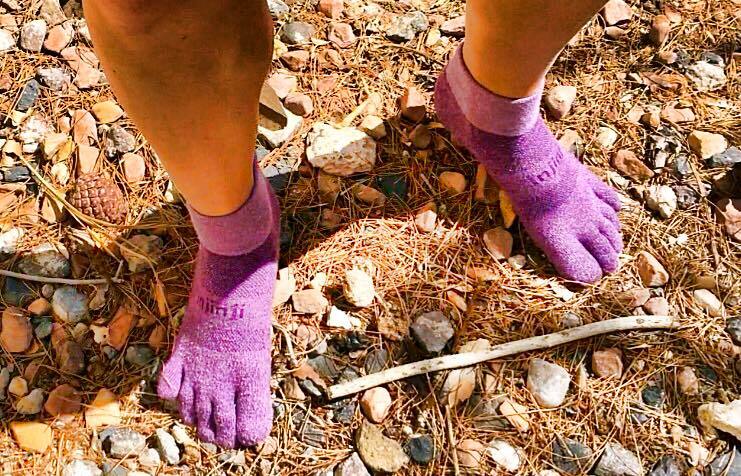 It is an excellent addition to any sock arsenal and will be worn if you are anticipating off trail or bushwhacking. 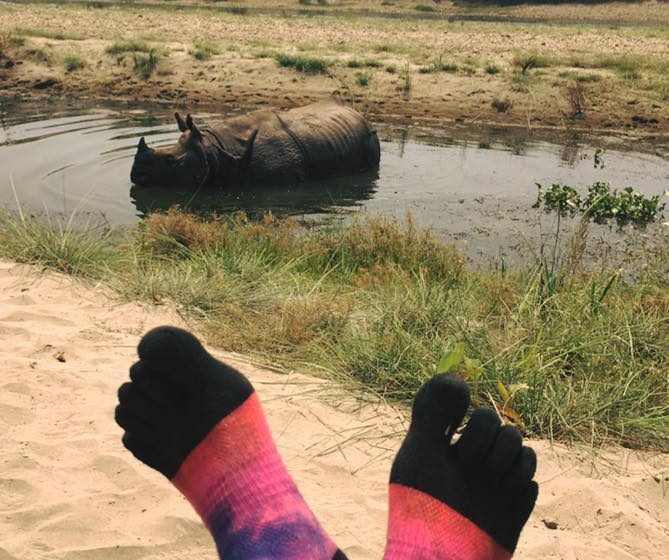 Yet, the sock is relatively thin in comparison to some competitors. Starting at $15, you can also add some color to the mix with the Spectrum choices or the numerous length options including Quarter, Mini Crew, and Crew. 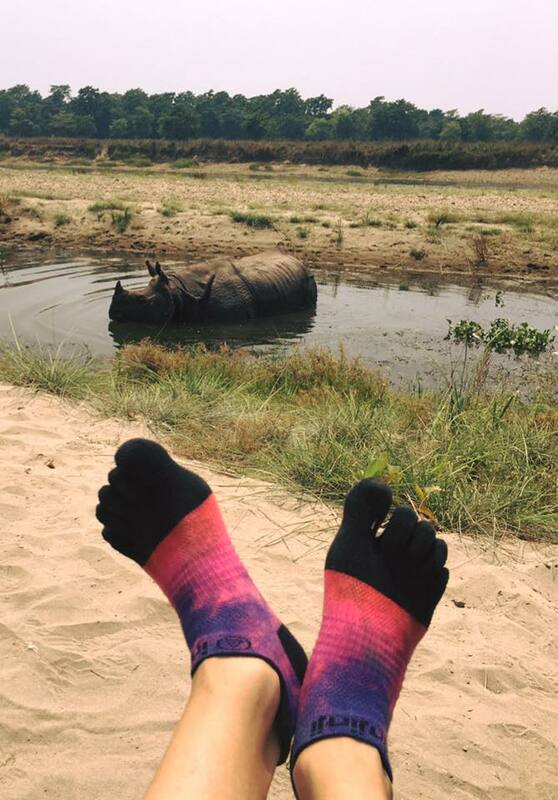 Injinji has really made their mark here with the lightweight socks. 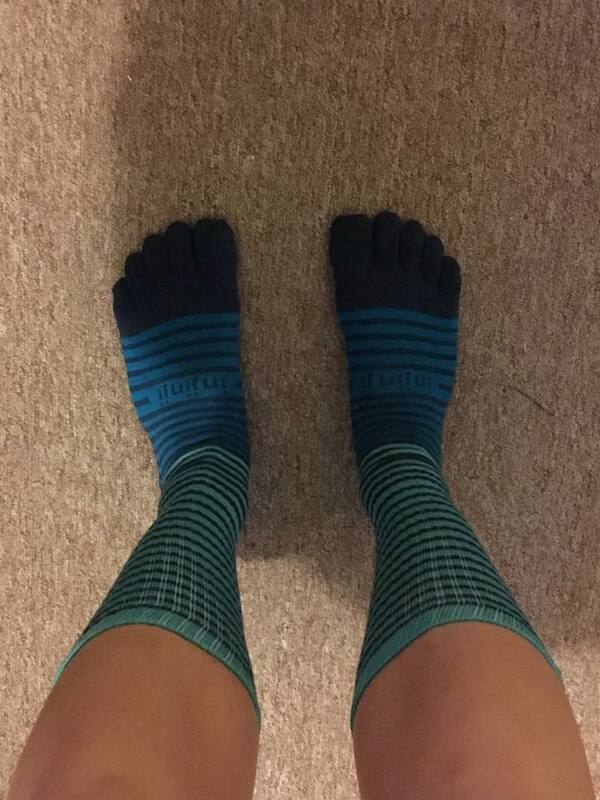 The socks really do a great job of providing a blister resistant experience for runners. 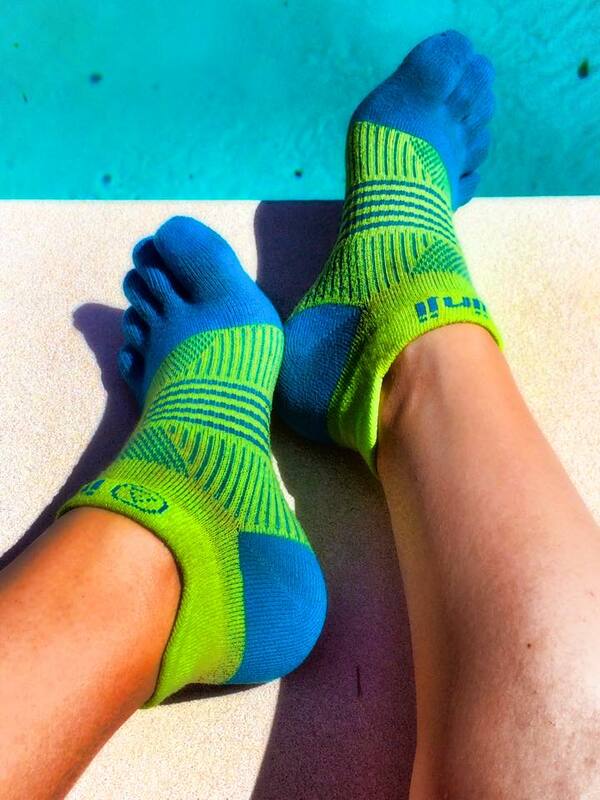 The Lightweight are a great transition sock for those unfamiliar with the toed sock experience. We found that the wicking and moisture management for the lightweight socks were above average. However, some testers did notice some durability issues in the toes. 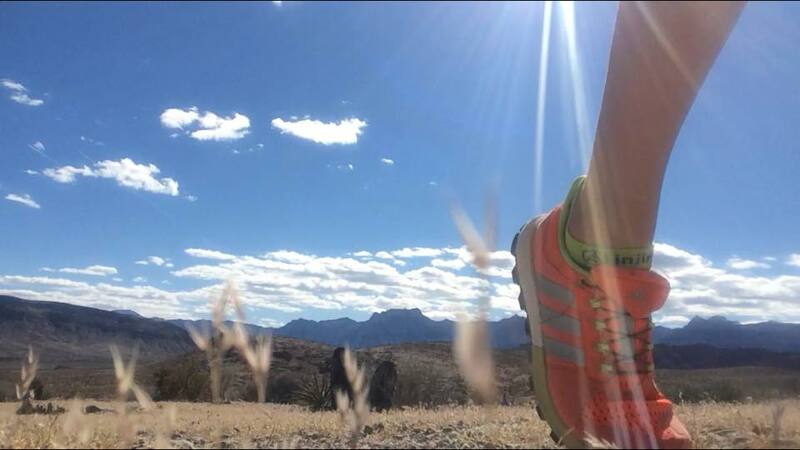 The price point for the lightweight socks are perfect at $12. 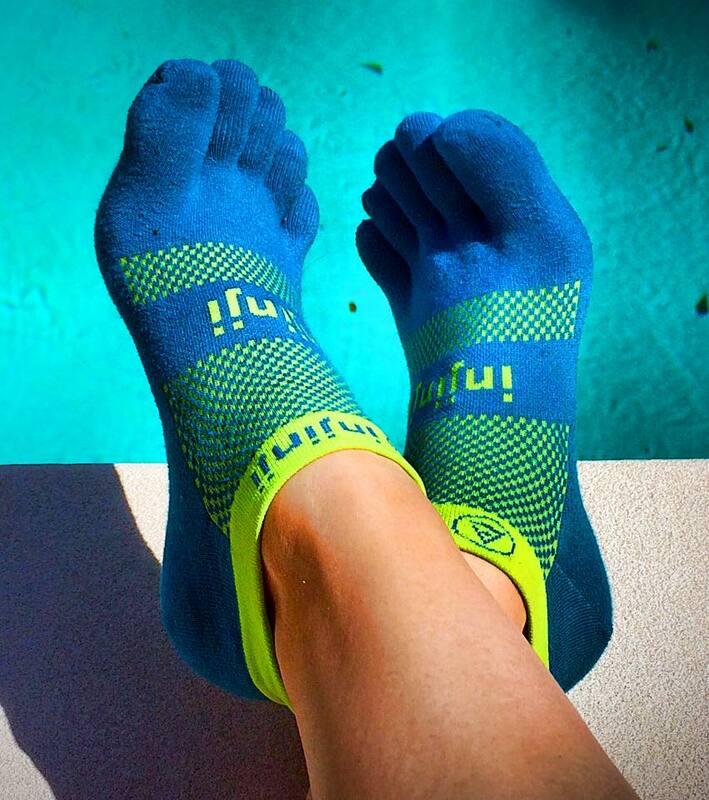 Injinji has also give runners a nice array of options including No show, Quarter, Crew and Spectrum. The new colors are really to die for, just check out these photos. 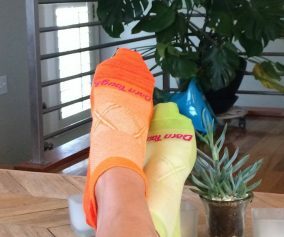 The results for the mid-weight Injinji Run 2.0 were similar to the above lightweight, with the added cushion of a heavier sock. Expect the same features with an added bonus. The price point for the midweight socks are slightly higher at $14. 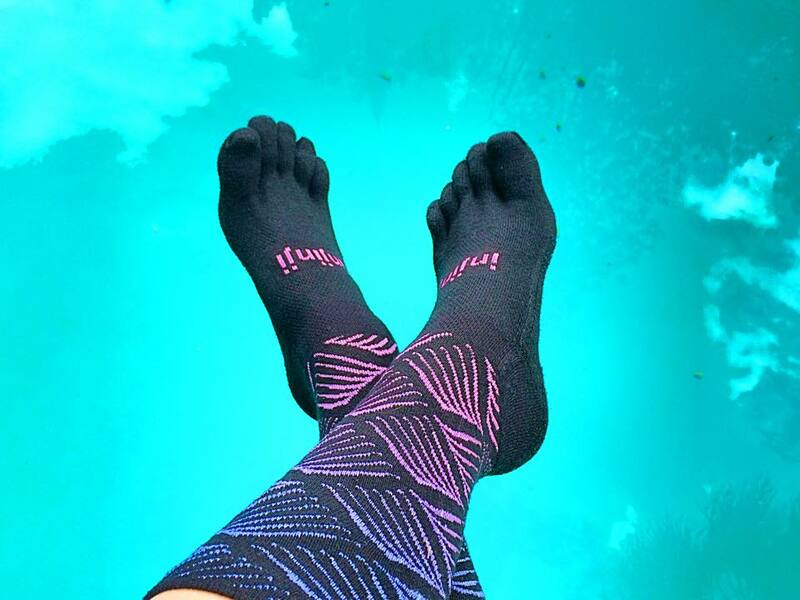 Injinji has also give runners a nice array of options including No show, Quarter, Crew and Spectrum. More new ‘to die for’ colors here as well, just check out these photos. 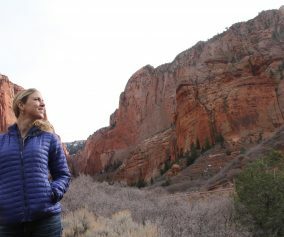 Injinji offers a wool version for their customers, called NuWool. Like many others, this is a hybrid product combining the benefits of wool with the versatility of nylon. 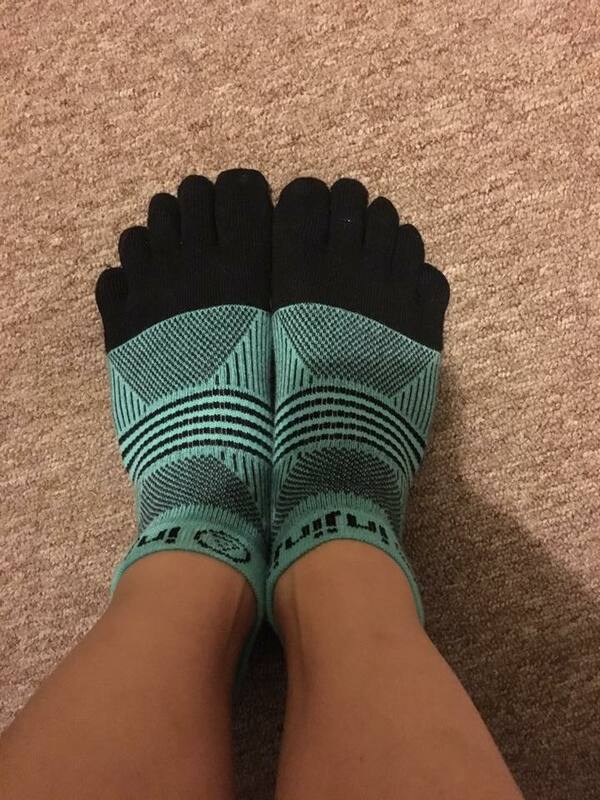 Our testers enjoyed the option of having a wool product from Injinji, but preferred the synthetic models. In comparison with the pure wool options testers generally did not like the hybrid options. They found similar durability concerns with the toes and in hi wear spots. 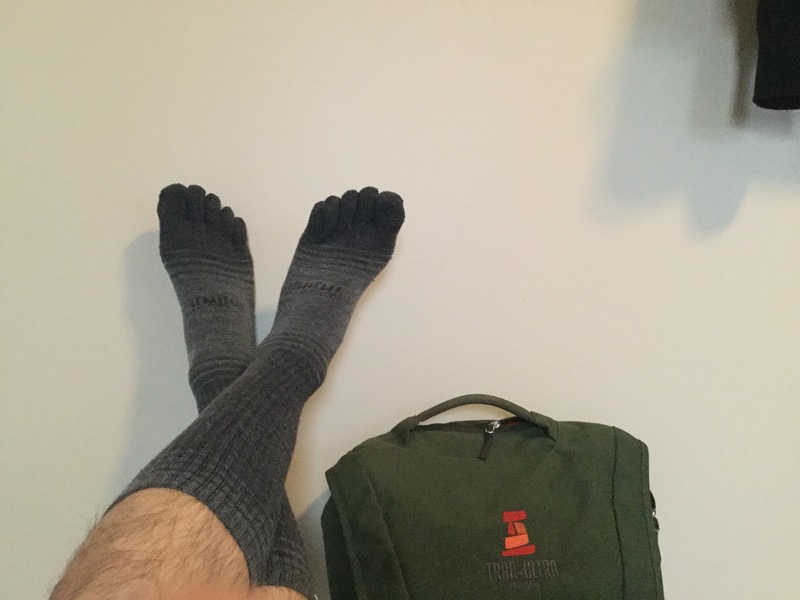 Injinji offers these NuWool socks for $16 with options like Quarter, Mini and Crew.